A relaxing and comfortable stay awaits you in our individually furnished holiday home. The holiday home offers a spacious accommodation with modern furnishing, fully fitted with all needed equipment, and with a view over the woodland from the adjacent terrace. There are 4 rooms available: a living room with a divided sleeping and working area (incl. 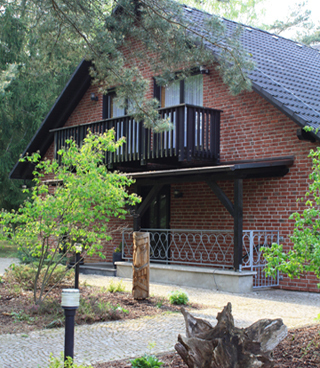 internet access), a fully fitted eat-in kitchen and a separate bedroom as well as a bathroom with toilet and shower. You can also find a parking space nearby. The holiday home is a non-smoking accommodation.